They are a set of standard notes, to identify some of the commonly used phrases. $ signs shown in the Code of practice only to be used in control tables. Every set of control table should have a preface of the list of these references . RT/E/C/11202 A.7 gives the complete list of $ references. The current Issue3 provides up to $101. 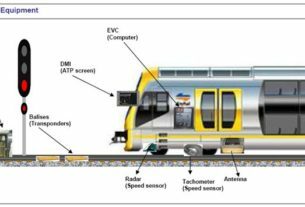 $101 – Control not effective if track circuit occupied by train proceeding away from crossing. They are similar to $ references but these are specific to particular tables or set of tables. Explanation of # reference is to be placed closer to the reference and placed on the table itself as far as possible. “*” Asterisks are not to be used with tables shown in this Code of Practice. “[ ]” Brackets are to be used in similar way as that of parentheses, for grouping some conditions at the discretion of the user. – – – “Dashes” used to connect related conditions which extends to more than one box or column, e.g [728- – – – – or- – – – – – 728], where each occurrence of 728 will appear in a different box or column. However, enclosing bracket, braces or parentheses are essential. “ > “ Greater than sign is used in conjunction with tables this Code of Practice. “ “ “ “ Quotes Alpha numeric route indicators, when defined are shown in quotes e.g. ‘M’, ‘18’ or ‘X’ “+ “ Plus To be used when two aspects (or indications ) alight together, e.g. Y+G The aspects before and after-the plus denote the left and right hand aspects respectively. “Comma” used to separate controls where their relationship is “and” e.g .”AA and AB”. “or” used to separate controls where their relationship is “one or other or both”“N” AND “R” These are suffixed point indications to indicate their position where this is not stated in the column or box heading, e.g. 718R, 765N. “NOR” Where it is to indicate that a route and its route locking and approach locking are normal, this abbreviation follows the route numbers. E.g. 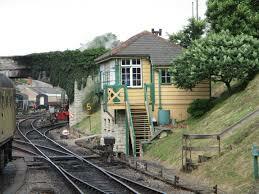 315A (M) Nor.“Occ” To indicate track occupied conditions e.g. “AB occ” “set” used to indicate a route is set. E.g. [ 1B (M) after 9A (M) set]. “POS” indicates the position of the junction indicator (1 to 6). E.g. POS 4.“w” indicates that something is to happen WHEN another condition (shown after the “w”) is true. “ON’ AND “OFF” ON means the signal is displaying its most restrictive aspect and OFF means a less restrictive aspect is displayed. 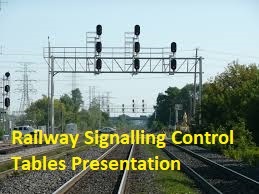 Title Blocks of control tables shall include the name of the controlling signal box, or control center and the interlocking identification, where appropriate. 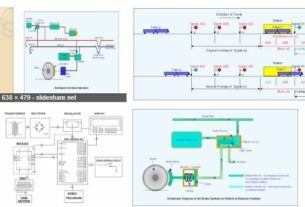 The Control table volume should include Notes which define rules used for the production of control tables, besides those within Standards. These Notes should find a place immediately after the list of references. e.g Approach Lock Release Irregular release due to power failure to be inhibited in all cases. All Routes provided with TORR are cancelled by the passage of the train unless required to work automatically. Facilities for manual cancellation are provided.